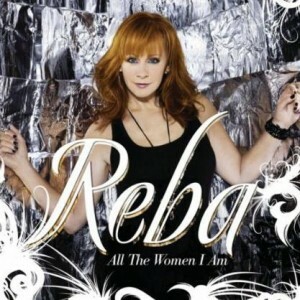 It’s 2011 and Reba is still on top. Back in 1979 Reba had her first top 20 single. Over thirty years later she’s still having hits on the country charts and in between those years she’s been one of country’s biggest stars. Fresh off her co-hosting duties at the 2011 ACM Awards she’s prepared to release a new single to radio just in time for a summer run. When Love Gets A Hold Of You is a rather unique song. It’s got a sound not found from most love songs. The feel of the track almost sounds a bit like Somewhere With You by Kenny Chesney, but Reba’s track is not as menacing or dark. The song from Reba is about love and as the title suggests how love can come out of nowhere and take over your life – usually for the better. This song should be another hit for Reba. She’s been consistent over her 30+ years at delivering radio friendly hits and that’s always a compliment. She knows what her fans like and even changes things up a bit to keep them on their toes. I think When Love Gets A Hold Of You is a bit of a change for Reba. The song has a unique feel without being over the top or crazy. It should do well with the country audience. While it may confuse some since the nature of the song appears to be about love I think in the end it’s a winner of a tune.